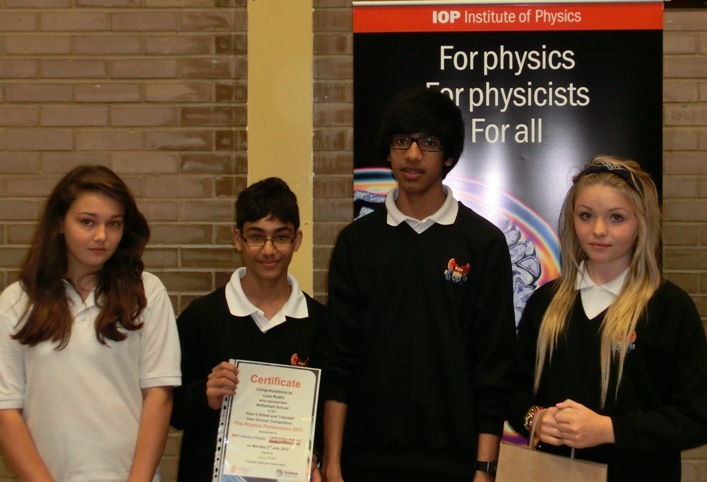 Taha, Balveer, Yasmin and Lara represented Netherhall in the East Anglia Gifted and Talented Physics Competition on Monday 2 July 2012. They had to complete 3 short practical experiments and 2 longer investigations in the morning. After lunch, they made a poster explaining the physics of one of their experiments. The day's Olympic and Paralympic theme, was developed in Gerry Blake's exciting lecture in the afternoon. Netherhall's team did well in all the practical challenges - Head of Physics, Ally Davies said "I am very proud of them - they worked very well as a team. I am pleased they enjoyed these demanding experiments." The students enjoyed their day of challenge. They said the experiments were "fantastic". Netherhall came in eighth place this year. Colchester Royal Grammar School won first prize, with the Leys School second and County Upper School, Bury St Edmunds in third. 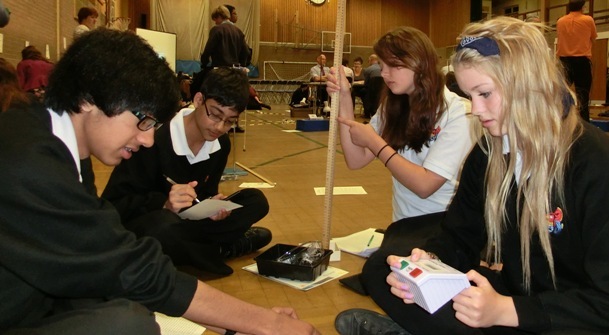 Thanks are due to Northgate School, Ipswich for hosting the competition; to the Institute of Physics for sponsoring the event and to Gerry Blake for arranging and running the day.